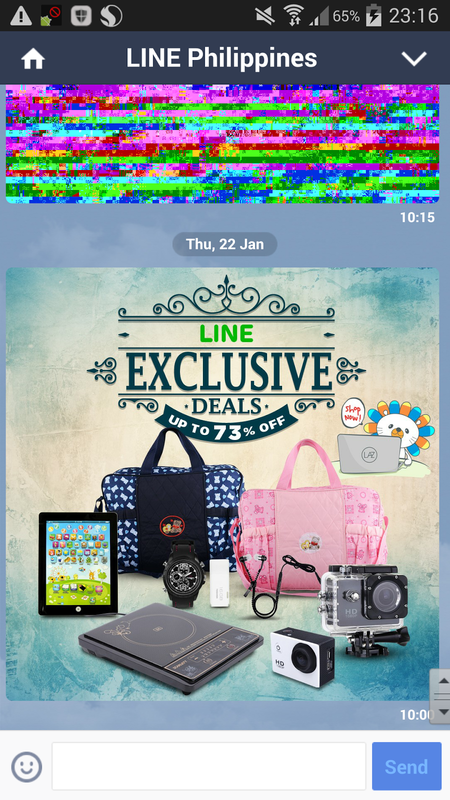 A few weeks ago, I got a notification from the popular messaging app, LINE (in partnership with Lazada.com) on a promotion for a 48% discount off the SJ4000 action camera. 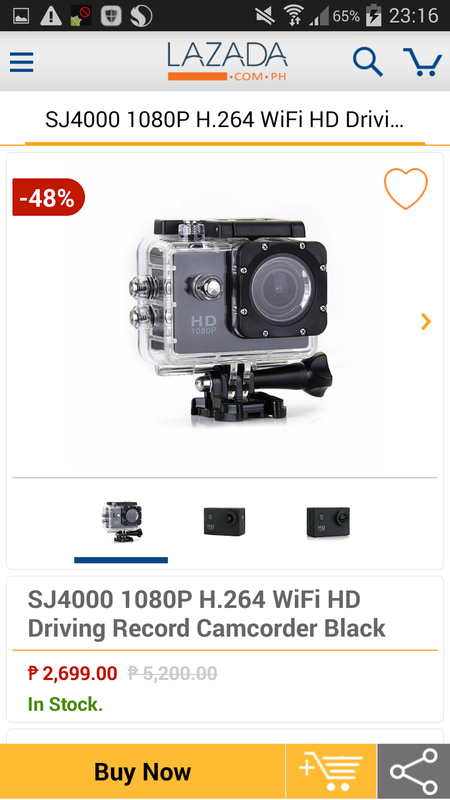 I’ve been contemplating buying a GoPro but the idea of spending close to 20k pesos for something I’d probably use once in a while was something I really didn’t want to do. The SJ4000 is basically a copy of the GoPro, but as you’ll see in my review there are even copies of the SJ4000. So let’s go through my review and see if my impulse buy is really worth the Php2,699 of my hard earned cash. You don’t need to be a rocket scientist to tell that the SJ4000 is basically a copy of the GoPro so I was curious to know just how good it really is. After reading and watching reviews on the SJ4000 it turns out that over the years the makers of the SJ4000 have actually improved the image and video quality and added features like WiFi, iOS and Android app integration. However, during my research I found out that there are now even copies of the copy. Yes, you have to be careful, as you might not even get an original SJ4000, which is what I got! The first clue was that there was no SJ4000 branding on the box or even on the camera itself. Secondly, the app I had to download is called iSmartDV instead of the SJCAM app. So now that I realize I’m stuck with a fake of a fake, it begs the question, is it any good? After using it for a week it turns out that it’s not that bad. Let me explain. First of all, you get the camera with a 12MP sensor, capable of 1080p @ 30fps or 720p at 60fps, a LCD screen at the back, WiFi with the ability to connect to your phone via an app, waterproof case, and lots of different mounts all for about Php2700 (US$60). Now that’s a lot of tech for the money! I’m sure the first question on everyone’s mind is how’s the video quality? Well, it’s actually quite good in bright light and acceptable in low light. As for the photo quality let’s just say it’s not really that good but acceptable in good lightning conditions. Focusing is hit or miss and you’ll get better shots from your smartphone. There are numerous options for setting photo and video quality as well as time lapse, burst mode, timers, etc. The small view screen at the back is very useful and the WiFi together with the app while quite handy, is very basic. Also, I did encounter some occasional app crashes and some WiFi issues. 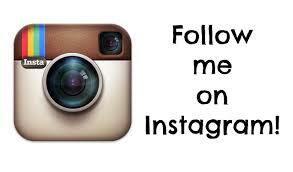 I’ll poste some video and photo samples so you can judge for yourself. Okay. So I realized that I’m stuck with a fake of a fake but as it turns out it’s not really that bad. If you don’t have the budget or don’t need the professional-looking quality from a GoPro then you might be happy getting this camera. If you can get an original SJ4000 then you might get slightly better quality though. To be honest, I’m quite surprised how much tech they were able to put into this cam as some GoPro models don’t even have a view screen at the back. Not to mention all the mounts are already included in the box. Since this camera doesn’t have a brand I’m calling it my “GuPru” and hopefully I’ll get to capture some awesome videos on my next adventure.